Poor lifestyles in men and women with lack of physical exercise, poor nutrition, stress-filled lives and excessive smoking and drinking have severely attributed to first women struggling to conceive and second when they do conceive, they have complications that were unheard of in my mother’s era. 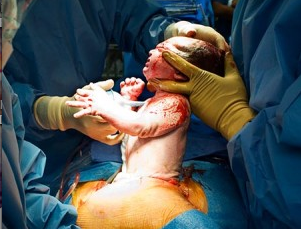 In a age of instant gratification, women are also opting for c-sections themselves. The primary reason being that they want to skip the labor pains and want a short cut to having a baby. I wonder why that is… it could also be due to the fear of being in a unsupported hospital environment that lacks compassion and care for the child bearing woman. More and more hospitals are also pushing women into c-sections because c-sections bring in more revenue. They don’t have to wait-in and watch for the labor to progress and plus they are able to utilize the hospital bed for a longer period of time thus creating additional avenues for revenue.